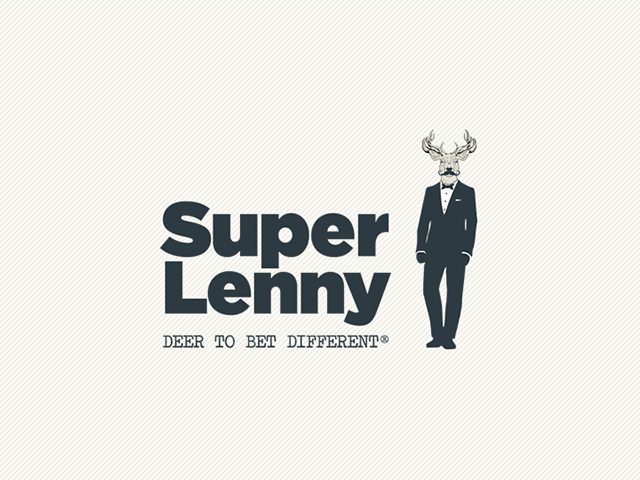 Launched in 2014, SuperLenny Casino is an online casino that comes with a nice deer mascot in a suit to set the easy-going tone of the site. It features a smooth, up-to-date instant-play interface. Plus it has a wide range of games from top software providers such as NetEnt, Microgaming, Quickspin, Playtech and Play’n Go. You can also count on committed customer support and easy access to the sites sport betting services. With certifications from Malta Gaming Authority and the UK Gambling Commission, you can have your peace of mind whenever you’re gaming. Make your first deposit of at least €20 as a newly signed up gamer and SuperLenny Casino will immediately double bonus up to €100 plus an extra set of 50 Free Spins. 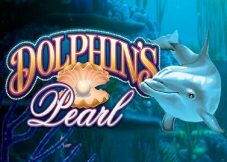 On top of the 50 free spins, you’ll also receive 10 bonus spins daily. So for the next 10 days it keeps you spinning the reels with no extra cost. You must, however, bear in mind that the free spins can only be spent on specific games in the lobby, i.e., Second Strike, Northern Sky, and Gold Lab. This SuperLenny Casino offer gives you full control of how and when to receive rewards from the house. 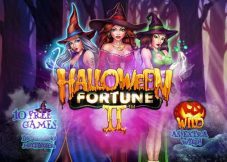 You can, therefore, exchange BUX for free spins on whatever games you pick from a collection of the best slots. All free spins you claim via BUX have completely zero wagering conditions. Thus, whatever you win remains yours. Drop the rule to the right to utilise your free spins. SuperLenny Casino’s loyalty club is only for the most faithful bettors. Joining this club is by invitation only, after the house has deemed you worthy. As soon as you become a member of the loyalty club, your life in the lobby will never be the same again. Here’s why. Personal Account Manager. The house will assign you with your own account manager, so that you can receive first class services at all time. The manager will be your point of contact and will help you in any way required. No Deposit Charges. As a VIP member at SuperLenny Casino, you no longer have to incur any dues on your coming deposits. With this, you get more value as a dedicated punter allowing you to only concentrate on relishing your online casino experience. Prioritised Withdrawals. SuperLenny wants every VIP to enjoy their earnings as fast as possible. Play with composure knowing that your transactions will be paid out instantly and safely. Unique Bonuses and Promotions. On top of the normal bonuses and promotions, you will also enjoy the benefits of unique Loyalty Club Promotions featuring wonderful prizes. VIP Events, Gifts, and Trips. As a VIP you’ll have the chance to meet and party with your fellow VIPs, celebrate with the SuperLenny team at remarkable events in wonderful places of the world such as the Mediterranean. As usual, we’ll remind you to read the terms and conditions that come with each of the promotions so that you don’t find yourself on the wrong side of things. When it comes to gaming capacity and variety, it’s difficult to beat the amazing SuperLenny Casino games availed to all casino members. 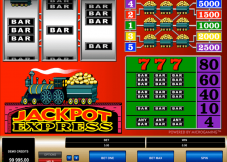 Supported by the up-to-date mobile and desktop platforms, the online casino lounge boasts of a total of over 700 games. SuperLenny Casino slots take the biggest chunk with more than 600 titles, and the rest is shared amongst the remaining gaming categories. 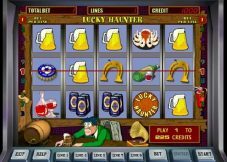 All these hits are offered by some of the best software providers such as Microgaming, Playtech, Quickspin, Play’nGo, and NetEnt. The games require no download, and you can sample most of them at no cost, without any registration. SuperLenny Casino has one of the largest variety of slots online. Some of NetEnt, Microgaming and Play’nGo slots at SuperLenny include Immortal Romance, Wild Water, Big Bad Wolf, Jack Hammer, Medusa, Gonzo’s Quest, and Merlin’s Millions slot plus many others. The site also features various 3-reel classics that come with progressive jackpot rewards such as Jackpot 6000. Even though it’s not as massive as the SupperLeny Casino slots collection, the table game variety here is full unforgettable hits. Roulette pundits can have a blast with options from different software platforms such as the American, European and French variations. Blackjack also comes with a tangible set of choices including Single Deck, Spanish, Double Exposure, Blackjack Classic, and many more. Additional table games that will keep you immersed for hours include Casino Hold’em, Baccarat, Carribean Stud, TXS Hold’em, and Red Dog Progressive. If you’re a fan of video poker, SuperLenny Casino has more than 30 options for you. The different variants include Tens or Better, Jacks or Better, All-American Poker, Deuces Wild, Double Joker, All Aces, Bonus Deuces and over twenty more hits. Most of the video poker games can be played with several hands at a time. SuperLenny Casino’s “Live Tables” section is full of different types of live games that bring real gambling excitement in the lobby. You can count on most varieties of tables being open irrespective of when you want to play. The likes of Live Casino Hold’em, Live Blackjack, Live Baccarat, and Live Auto Roulette will be waiting for you whenever you’re ready. The in-game chat features, friendly dealers, plus a professional playing atmosphere make this live dealer room a wonderful option for any fan of table games. For sure, this gaming site works hard to make sure that you feel part of the family, 24 hours a day, 7 days a week. The live chat support channel is always active, and the same applies to the phone support. In the same way, you can also contact the customer service team via an online form, and a response will be sent to you in a matter of hours. Deposit Methods: Neteller, MasterCard, Bank Wire Transfer, Sofortuberweisung, Visa, Trustly, Skrill, and Paysafecard. Withdrawal Methods: Trustly, Skrill, Visa, Bank Wire Transfer, and Neteller. Deposits are processed instantly while withdrawals will undergo a pending security window for not more than 24 hours. Afterwards, e-wallets users can receive their cash within 24 hours while direct wire transfers and card users will have to wait for 3 to 4 working days. In case you were wondering, the accepted currencies include the DKK, EURO, USD, SEK, NOK, and GBP. SuperLenny Casino is run by Betit Operations Limited. It is registered in Malta, Betit Operations regulated by the Malta Gaming Authority. And it’s also certified and controlled by the United Kingdom Gambling Commission. Due to some legal and commercial reasons, SuperLenny Casino does not allow the creation of accounts from some particular countries. The restricted nations include France, Ireland, Denmark, China, Australia, Greece, Thailand, Hungary, Italy, Portugal, Spain, the Netherlands, the Czech Republic, Poland, the United States of America, Slovenia, India, China, Bulgaria, Croatia, and others. If in any case, you come from one of these countries and in one way or another you can create an account via the location changing software. For instance, you still won’t be able to cash out as you won’t manage to do the identity confirmation procedure. To guarantee fairness, all the programs used by SuperLenny Casino have been examined for impartiality by leading independent testing companies. This implies all the games use fair Random Number Generators to prevent any chance of bias. Truly, even with a few shortcomings, SuperLenny offers an online casino experience that is difficult to match. You will find a wide variety of games, safe and secure payment methods, and a user-friendly website. And to make sure that your identity and finances are safe, the online casino uses the most advanced security measures to keep any third parties from snooping. Why don’t you try playing some Microgaming slots at SuperLenny Casino today?